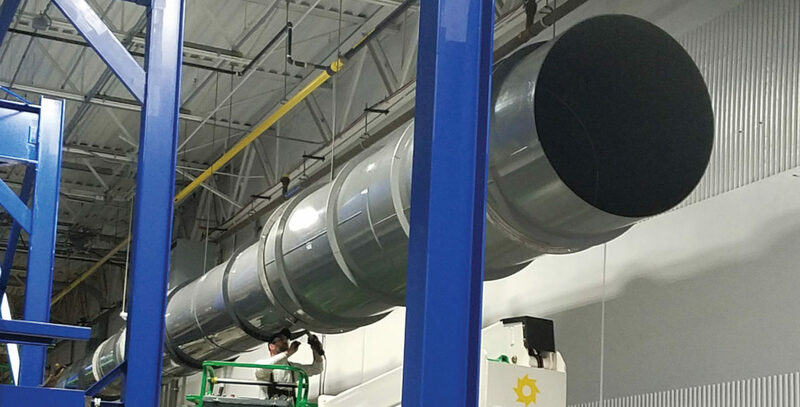 Vanaire designs and manufacture corrosion resistant duct systems and Factory Mutual duct systems in accordance with the specifications set forth by the SMACNA Manual on Thermoplastic Construction. We guarantee substantial, leak-proof performance of Vanaire duct applications and effective functioning of the whole ventilation system. Solid Fiberglass Round Duct – manufactured from chemical resistant reinforced-thermoset resin in accordance with product standard PS-15-69. The size of round duct is determined by the inside diameter. Filament Wound Fiberglass Ductwork – constructed utilizing our state of the art filament winding machines. 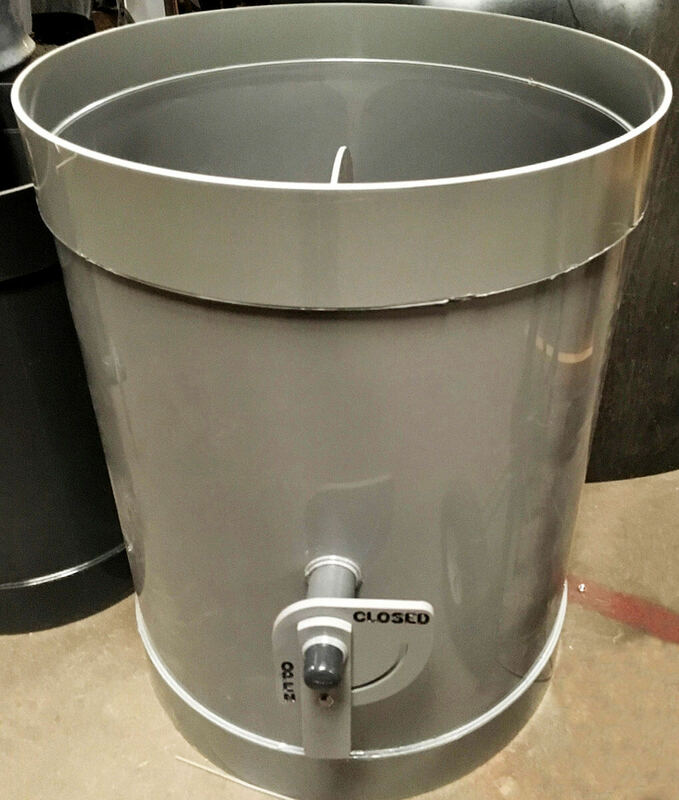 Standard sizes for ducting and duct fittings (link to duct fittings page) is 6 inches through 24 inches. However as we are a custom fabricator, we can design and build systems for your specific needs. Call us for a quote on custom sizes. All PVC and Fiberglass duct thickness and reinforcement designs are based on SMACNA requirements for the static pressure of the system. Duct connections are made via the coupling or bell end. Flange connections are available as options if requested. All Vanaire systems are designed in accordance with the manuals of recommended practice, set forth by the American Conference of Governmental Industrial Hygienists (ACGIH), and the American National Standard Institute (ANSI) and in accordance with the specifications set forth by the SMACNA Manual on Thermoplastic Construction. 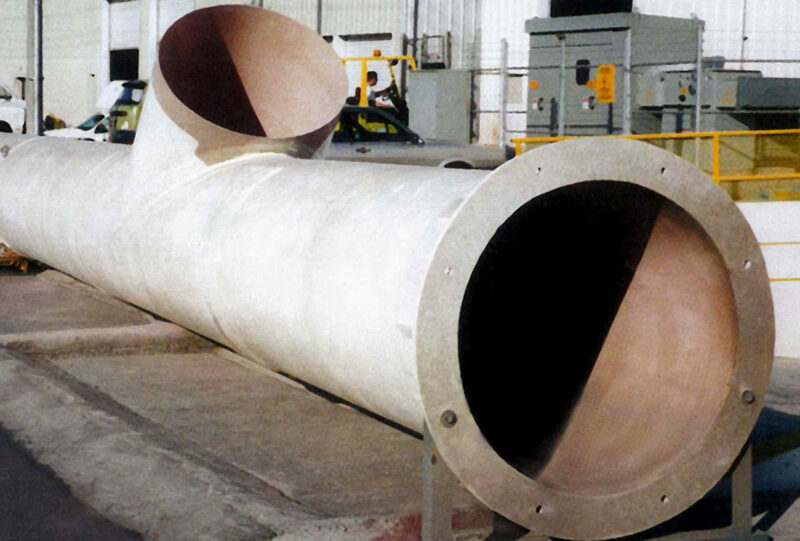 Our “Aire-Safe” ducting is designed to meet Factory Mutual requirements for FMRC approved duct. “Aire-Safe” effectively exhausts non-combustible corrosive fumes while requiring no automatic sprinkler protection where it can be permitted by applicable FME&R Loss Prevention Data Sheets. Order your corrosion-resistant Vanaire ductwork system today. Built from PVC, the ductwork will be designed according to your unique needs and requirements. That equipment solution comes courtesy of Vanaire’s 20 years of experience. In turn, it’s these two decades of expertise that guarantees a degree of craftsmanship that consistently produces reliable and durable ventilation equipment. Furthermore, the base PVC materials that we use for these ducting solutions are built to resist most caustic materials, acids, salts, and other corrosive substances. Vanaire is an experienced designer and manufacturer of variable custom duct fittings. We make duct fittings from solid materials that are chemically resistant to most oxidants, acids, and salts and other to ensure excellent functioning of your duct system. At Vanaire, you can choose a necessary piece of ducting segments such as high quality pipe hangers, dampers, different configuration elbows, adapters, hoods and many more. Our company has been supplying manufacturers from across different industries with reliable ventilation and ducting systems for many years. Vanaire equipment is fabricated from solid corrosion-resistant materials and in accordance with the state and federal standards. Vanaire builds high quality duct systems that are approved according to Factory Mutual (FM) requirements. 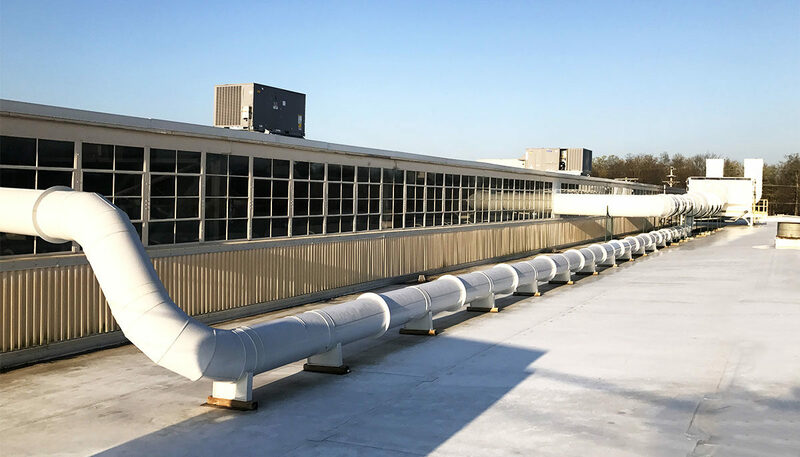 Our tech-savvy engineers elaborated brand-new ducting “Aire-Safe” that is designed to exhaust non-combustible fumes that provoke corrosion with no need for automatic sprinkler protection. We design and manufacture industrial duct systems and Factory Mutual duct applications strictly adhering to the SMACNA Manual on Thermoplastic Construction. Vanaire FM duct systems sizes don’t require automatic sprinkler protection. 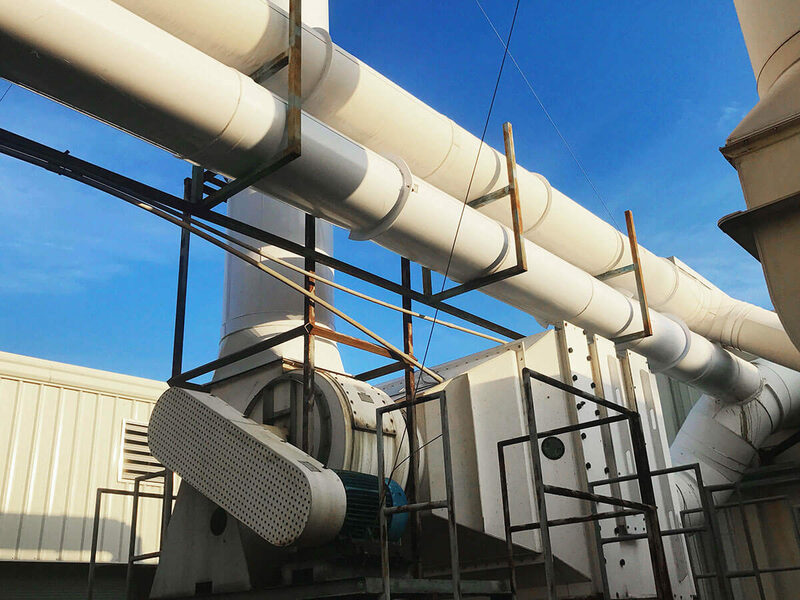 Vanaire has immense experience in designing and manufacturing of high efficiency fiberglass reinforced plastic duct systems for different industries. We are happily serving clients from across different industries and states providing them with reliable air scrubbing equipment. Vanaire FRP duct systems are fabricated from solid fiberglass reinforced plastic that doesn’t rust and guarantees a durable performance of your application.